Does every reader hold an unexpected fascination with an unlikely subject? I’d like to think so, and I know mine—I’m fascinated by urban planning. I love to know how things are made, why things work the way they do, and how our physical spaces shape our behavior in ways both positive and negative—and how they do so whether or not we’re aware of it. I’ve been meaning to share a list of favorites here on the blog for ages now, and am finally doing it now because the second category for the 2019 Reading Challenge is “a book about a topic that fascinates you.” I know what my topic is, and if you share my unlikely obsession, add one of these titles to your list. But most of you will choose a book from an entirely genre. Please tell us in comments what subjects you find fascinating, and what you are therefore contemplating reading for this category. We’d love to hear. Honorable mention goes to The Geography of Nowhere and Home from Nowhere, both by James Howard Kunstler, and Suburban Nation by Andres Duany, Elizabeth Plater-Zyberk, and Jeff Speck. P.S. My favorite personality books—another favorite topic of mine. Plus what I’m probably reading for my own 2019 Reading Challenge. I love learning about carousels, but I have yet to find a book I love on the subject. What an interesting topic, Bethany! I live in North Dakota, and two zoos I visit each have an old carousel that has been restored. It IS fascinating to learn about them. I hope you find a great book about carousels! I know of a lady who is raising funds to restore the only Cowboy Carousel in the country. 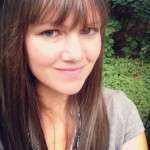 Here is her website https://cowboycarouselcenter.com/ You may want to explore that and even communicate with her about the topic. I know she is passionate about the restoration. If you do speak with her please tell her that Lyn’s friend Sandy from Indiana sent you. North Bay Heritage Carousel / photographed by Ed Eng ; designed by Richard M. Ference ; written by Patty Fedeli ; edited by Edna Scott. I live in north bay ontario, Canada and our library has a book about the carosels we have in our city. I don’t know whether interlibrary loans go across the border. I’ll get it out and see how good it is, and let you know. It sounds like somewhere I want to visit. cool! We moved up here 11 yrs ago for dh’s work. Bethany: I looked at the book North Bay Heritage Carousel. It’s a 160 pg colour coffee table book with pictures of the different carousel horses, scenery etc. It tells about how the horses were painted and by whom with personal stories of why and wherefore. It looks good enough that i want to read it now! We spent a lot of time at the carousel/ train park when our daughter was a toddler and preschooler! I wanted to check this out incase it was just a photocopied pamphlet of something only of interest to north-bayers. But it’s not! It’s worth an interlibrary loan! Came across a book at the bookstore yesterday called The Lost Carousel of Provence by Juliet Blackwell.. though I’d share the title. I have an odd fascination with cults. Last year I read Rachel Jeffs’ memoir, Breaking Free, and looooved it. I think for this category I’m going to read Prophet’s Prey by Sam Brower. That will also count towards my unread shelf project for the year! Have you read “Salvation on Sand Mountain”? Pentecostal snake handlers, oh my! I loved it. I really enjoyed both of Caroyln Jessop’s books, Escape and Triumph(I think?). She was also an FLDS member who married into Merrill Jessop’s family as the 3rd wife. Escape is mostly about her life growing up, how the FLDS gradually changed under Warren Jeffs, and her marriage to Merrill and how that precipitated her need to get out. Book 2 is about life after escaping. I read one in paper and the other as an audiobook and both formats worked well. Did you ever read Jesus Land by Julia Scheeres? It’s haunting and while not necessarily about a “cult,” it deals with religious fundamentalism through the author & her adopted brother’s experience being sent to a Christian reform school in the DR. I love books about books and reading. I chose The Library Book by Susan Orlean for my reading challenge selection. It is about the massive fire in the Los Angeles Public Library in 1986. I am about 4 chapters in, and it is fascinating! “When Books Went to War” by Molly Guptill Manning is a super interesting read, especially if you like WWII history. I learned so much. I chose this book as well. It was so interesting! My mom was the head librarian at a library at University of Toronto that I think uses (to this day!) the same kind of stacks that were featured in the Los Angeles Central Library. I have been listening to the book and I can’t tell you how much I am loving it. As I am listening, I keep thinking, “I have to be one of the few people in the world who find the minutae of libraries this fascinating!” but I am riveted! If you like the inner details of libraries, it’s definitely worth your time! I think those were my favorite parts of the book…when she went into all that minutiae! Especially the some of the reading habits of the patrons or the questions the librarians received. I loved “Tolstoy and the Purple Chair” by Nina Sankovitch. The author decided to read a book a day for a whole year, as a way of dealing with her grief over the death of her sister. 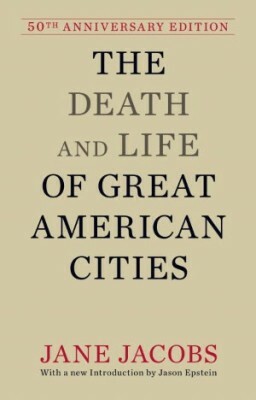 Jane Jacobs was so immensely readable! Highly recommending. I’m immensely fascinated by food production and the logistics of feeding large populations (say: cities), where there is limited land. So: related to urban planning, from an agriculture/food perspective. So my cousin is a Geography professor and his particular focus is agriculture and people and more specifically food justice. I mention this because you could look for books written by geographers or on “food justice”. Before he majored in that, I had no idea what studying geography was about…but there is a lot of overlap with urban design. I have a fascination with Oak Island Treasure. I have read every book I could find on Oak Island. For such a small island there is so much history. This sounds interesting. What book has been one that you particularly enjoyed? I’m interested in learning more about code breaking since my daughter is employed in a related field. She actually taught a summer course on this subject to middle schoolers! I’ve downloaded “The Woman Who Smashed Codes” by Jason Fagone and plan to read that some time this year. If you’re interested in codes and codebreaking, you might want to try the novel S. by Doug Dorst and JJ Abrams. It’s a multilayered book and has multiple codes in it. Yes! The S. novel is so fascinating. My sister gave it to me a few years ago for Christmas and I am itching to do a reread. If you look online (I saw the info in an Amazon review) there are suggestions for different ways to read it. I was going to say code breaking as well – it is a topic I have been interested in since high school. You might like Code Talker by Chester Nez! He was one of the original Navajo Code Talkers who developed the code and served in the Pacific sphere of WWII. The first third of the book is more memoir about growing up on the Navajo reservation and government boarding schools, but then it gets into the code development and implementation more. I will say the writing and prose wasn’t anything amazing, but I did like that it was all his own words and you didn’t wonder about a ghostwriter or co-author modifying anything. This might be similar, but I have been reading Code Girls by Liza Mundy, a well researched book that is still quite readable. It might be worth checking out. The Woman Who Smashed Codes is amazing! One of the best books I read In 2018. The movie The Imitation Game caught my interest in the subject. I’m not a math person at all but The Woman Who Smashed Codes kept my interest easily — it reads like a spy thriller! “The Woman Who..” is excellent ! I know you’ll enjoy it! The Code Book by Simon Singh is a great overview/history of codes and code breaking. Very readable and interesting. It ranges from Mary Queen of Scots to the Rosetta Stone to Enigma to the Navajo Code Talkers to the attempts to decipher Linear A and Linear B, to what was current encryption technology at the time (1998). There are some codes in the back for you to try your hand at codebreaking. Highly recommend. I’m very interested in British history but don’t know much about the pre-Tudor era. Thank you! I’m fascinated with the Tudors but would love to know more about the people before them. I can’t wait to read this. I love to read about globalization and our shrinking world. Fun question! Funny enough, temporary road construction has always fascinated me. You know, the roads built to temporarily reroute traffic when, say, a bridge is being built or a highway is being reconstructed. BUT…I don’t know that I really want to read a book about that! Your topics definitely give me pause to be thoughtful about what I choose for this category, though! I’m fascinated that this fascinates you! I love reading and learning about dignity in the dying process and hospice care. Many good books have been written on this subject. After reading and learning all I could on this, I recently interviewed for a part time hospice volunteer position and will complete the required training this month. I hope to have the emotional strength to provide this important service. I’ve been a hospice volunteer for the last 3 years. It’s one of the most fulfilling things I’ve ever done (except for raising my kids.) The fact that you’re drawn to it makes me believe you’ve got the inner strength to do this. Depending on your personality and needs, don’t forget to take care of yourself though. Talk to other volunteers about your experiences, things you don’t understand or make you uncomfortable, sad or yes, happy. What you’re going to do is a real mitzvah, a good deed. Thank you for doing this. That’s amazing, Jamalyn. I’ve read Being Mortal (I’m sure you have too) by Atul Gwande and I’m so impressed your reading lead you down this important path. Thank you, yes, loved Being Mortal. I highly recommend “With the End in Mind Dying, death, and Wisdom in an Age of Denial” by Kathryn Mannix. It is an excellent book with relatable stories of patient with cancer and hospice care. It’s from the perspective of the doctor and I her viewpoint in dealing with death. I just thought it was really such a beautifully written book. I suggest Gail Sheehy’s Passages in Caregiving. This book gave me comfort when I needed it and I share it with others. She writes very well. I used to work as a hospice volunteer before becoming a nurse and read a great book called Final Gifts- about helping people through that process. Yes, Final Gifts was the best I have read on this subject. Thank you! This is my topic as well – so many great books to choose from. I commend you for going into hospice. I have such gratitude and respect for the hospice folks who walked us through my dad’s final weeks – they were amazing. Such a gift. I recommend We Know How This Ends: Living While Dying by Bruce Kramer & Cathy Wurzer. It’s beautifully written! An interesting read in this category was The End of Your Life Book Club by Will Schwalbe and was both a great way to get introduced to new books (yay) and dealt with the complex topic of walking with your parent to the end of their life. 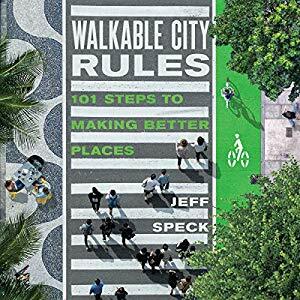 I, too, adore urban design (really-all things design) and, in fact, own A Pattern Language and have yet to read it. I’ll definitely pick it up this year after reading and hearing your positive reviews several times now Anne. After living my entire life in large cities (LA and Seattle) I’ve made home in a more rural setting on an island in the Pacific Northwest. These days I’m more interested in the aesthetics of smaller cities and towns, and what features make them the best they can be. A while back I picked up Dar Williams’ What I Found in a Thousand Towns: A Traveling Musician’s Guide to Rebuilding Anerica’s Communities-One Coffee Shop, Dog Run, & Open-Mike Night at a Time. I found this interesting-sounding read while browsing at my local (and fabulous!) independent bookstore, Darvill’s Bookstore. Nicole, as someone else mentioned, don’t wait to take on A PATTERN LANGUAGE all at once. It’s a great book to dip into. You’ll find yourself going down fun rabbit holes until the next time. More like a really great reference book full of ideas. Not surprising since it has many contributors. I can’t wait to hear what you think about A Pattern Language once you dive in! I love to read about illustration and drawing, and I deeply love beautifully illustrated books. When illustrators include a note about their process and materials, I feel like I’ve gotten a special inside peek at the magic of making a picture book or graphic novel. I’m also drawn (no pun intended) to novels about characters who use drawing as a means of self expression. Some examples: Station Eleven, The Absolutely True Diary of a Part-Time Indian, and The Almost Sisters. Also, I fell in love with Jane Eyre, because she was always pulling out her pencils to sketch. This looks beautiful and inspiring! Have you discovered Scott McCloud’s books? I haven’t read them yet, but they look so interesting. Excited to check these out soon! Steph, have you read “Orange is the New Black” by Piper Kerman? I haven’t watched the TV show, but loved the book. Forest Whitaker produced an amazing documentary that originally appeared on the Oprah network. It’s called “Serving Life”, about a program to teach inmates at Angola Penitentiary in Louisiana to be hospice volunteers and care for dying inmates. This is actually one of my niche interests too though I guess my particular focus is the design of walkable cities and not just urban planning. I blame it all on one of your honorable mentions: Home from Nowhere by James Howard Kunstler. I read that about 20 years ago, and it fit so well with my own thoughts on how we become so disconnected when we spend more time in cars than anywhere else. This also pairs well with my interest in the design of community spaces. 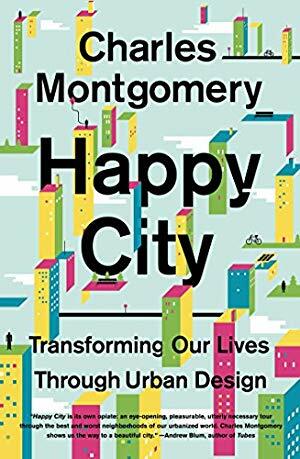 As a psychology grad student, one of my proudest moments was convincing my committee to approve 2 classes in the college of design that were in the area they called city design because it made sense to me that if we care about the mental health and well-being of people that we also need to understand how the design of our living spaces and cities influence that in good and bad ways. Are you familiar with cohousing? They are intentional communities of people that their housing is designed to foster community. Everyone still has their private home, but it might be smaller and they tend to be clustered around shared open space. My old boss actually wrote a book called Pocket Neighborhoods – Creating small-scale community in a large scale world. There are few cohousing examples, but more examples of different types of housing types that help foster community. Lots of pictures and good text explaining the history and design elements of the communities and a few examples of what one can do in their neighborhood. I love the book, “Pocket Neighborhoods” I’ve had it for years and it’s never made it to the bookshelves. I keep it out where I can browse. Brandy, that IS a proud moment! I wish every community could have those classes available to students; thanks for doing your part where you are. I have two fascinations. One is the Russian Czars and their families, especially the Romonovs. I have read a lot of fiction- all time favorite is The Kitchen Boy. I tried to start the new Prime series on this on the family, but I cannot get into it. My other fascination is with religious fundamentalists. I just finish Educated, so interesting. I am fascinated about the look inside families and religions that are so different from my own. Have you read Under the Banner of Heaven by Jon Krakauer? You’d probably like Imperial Requiem by Justin Vovk. It’s about the last four Empresses of Europe, including of course Alexandra of Russia. One particularly great part of this book is Alexandra’s relationship with Queen Victoria, who very much did NOT want her to marry Nicholas! The author uses a lot of the letters between all the monarchs and their families as source material and text. I thought I knew tons about this topic but still learned so much from this book. If you haven’t already read it, I enjoyed The Romanov Sisters by Helen Rappaport – it was very intimate. Going to be a bit morbid here, but I’ll be reading Caitlin Doughty’s From Here to Eternity: Traveling the World to Find the Good Death. I started it last year but haven’t finished it, so I want to wrap it up! I’m roughly 15% of the way into it, so I figure that’s enough for 2019 to count as a “read in 2019” book. I read her Smoke Gets in Your Eyes a few years ago and really enjoyed it. It’s fascinating to learn about funerary customs around the world and why the US funerary industry is the way it is. But I’m hoping reading about this will help me get over my paralyzing fear of death, so I have a few books on the topic. I was going to post that my fascination is with people with uncommon professions, like the funeral business. Last year, I read Smoke Gets in Your Eyes and… (I’m embarrassed to admit this) really loved it! I felt like it answered so many questions I was too afraid to ask! I loved it too! 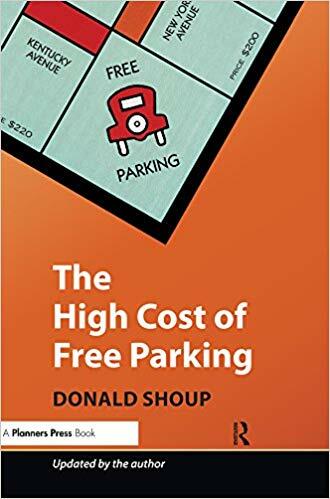 It’s actually a fascinating book, and Doughty has a very approachable style of writing. It’s one of my faves, to be honest! Smoke Gets in Your Eyes sounds really fascinating to me. I’ve been curious about the funerary industry for the past few years, ever since a family member took a job selling burial plots. It got me thinking about what a strange line of work this is, and how different modern cemeteries are from the old church graveyards you see in Europe, and wondering how it got this way. ‘The Loved One’ by Evelyn Waugh is a classic novel on the subject of the American funeral industry. As I remember it was very funny. Doughty’s book goes into that exact history, Elise! I highly recommend it, actually. The history of funerary practices here in the States is mind boggling, but makes complete sense considering certain aspects of our history. I don’t want to “spoil” it for you, though. Love this! My unlikely subject is veganism. I am vegetarian (with the occasional fish) and not vegan but for some reason reading about veganism and learning more about the benefits and culture FASCINATES me. I don’t even totally intend to go 100% vegan but reading about it is so inspiring and helps me take little steps toward a healthier lifestyle. I even have a little section of my bookshelves dedicated to my favorite vegan reads! Sarah, I have been vegan for 10+ years now (pescetarian for 10 years before that) and I still think my favorite “vegan” book is Thanking the Monkey by Karen Dawn. Have you read it? It is fascinating to read about these niche reading genres. I have a weird interest in art/museum logistics–how priceless art and artifacts get moved around for exhibits. I loved The Monuments Men…any other recommendations? Robyn, it’s a little out of your niche, but what about “The Bad Assed Librarians of Timbuktu” by Joshua Hammer? It’s about the efforts of a small group in Libya during the Gulf War to save priceless manuscripts from the Qaddafi regime. Aside from the great title, it’s got the same sense of adventure as Monuments Men. Ooh, that is going on the list! Thanks, Hope! This one is still sitting on my TBR list, so I can’t fully endorse it yet, but possibly Seven Days in the Art World by Sarah Thornton might be up your alley? Adjacently (is that a word? ), in the fiction world, I really enjoyed The Improbability of Love by Hannah Rothschild, which follows the journey of a particular painting through history, including its stay in a few museums. Thanks, Liz! I’ve written both of those down. I am a total geek when it comes to The Holocaust. I used to say “I love it” but that just seems to wrong to say. I spent a 4 week spring semester in college living in Poland, cleaning up a Jewish cemetery, traveled to the Jewish Quarters/Ghettos in Berlin, Prauge and Krakow, and a trip to Auschwitz. Not identifying as Jewish myself, I learned an incredible amount during this time. It has been a while since I read anything about the Holocaust specifically (like “Night”) but I think I’m going to find something on this topic for the reading challenge. Does anyone has any suggestions?? Maus. It’s a graphic novel and simply amazing. I did a similar program when I was in college and, in preparation for the trip, took a course on Holocaust Literature. The work that still sticks with me is Smoke Over Birkenau – it focuses on the experiences of female prisoners at the Birkenau concentration camp. This may go without saying, but it’s an emotionally difficult read at times; however, it’s one of the works that most made the Holocaust “real” to me, making me see the millions of victims not just as statistics but as individuals. We Were The Lucky Ones by Georgia Hunter! Probably my favorite book I read in 2018 and possibly a new lifetime favorite for me. It’s loosely categorized as fiction, but the events recounted are true. It tells the story of the author’s family a few generations back — she found out as a teenager that she came from a family of Holocaust survivors on her mother’s side, and the story eventually became this book. It’s a masterpiece of tension, war drama, and ultimately hope and family bonds. I cried buckets, probably most noticeably as I read the author’s note at the end! I have a fascination with those who helped out the jews just because it ‘was the right thing to do’. And also how the jews survived/ ended up in a camp. You’ve probably read: The hiding place, by Corrie Ten Boom; her story is true. We Were The Lucky Ones is a great book. It’s about a family that is separated and how they eventually find each other again after WW2. Jane Yolen wrote two novels about the Holocaust– “Devil’s Arithmetic” is one I used with my 5th graders. The other one, called Briar Rose, still haunts me, and I probably read it 15-20 years ago. It is definitely NOT a book for kids, so I was glad I read it myself before I started it as a read-aloud! They are fiction, but fascinating all the same. And I really need to stop reading the comments on this blog–my reading list is getting WAY too long! Elastic is a fascinating book about the brain. I really enjoyed it — strong recommendation! Who is the author of Elastic? Interesting topic, Jeanine! I’d suggest The Spirit Catches You and You Fall Down: A Hmong Child, Her American Doctors, and the Collision of Two Cultures by Anne Fadiman. I also like Anatomy of an Epidemic: Magic Bullets, Psychiatric Drugs, and the Astonishing Rise of Mental Illness in America by Robert Whitaker. This also my favorite niche topic! Strange for me too because I am an artist and librarian who works in higher ed, nothing related to medicine at all. I like to read about the science of dreaming and why the brain dreams in particular. Janine, have you read any of Lisa Genova’s fictional books about neurological subjects? They are FASCINATING and you can’t put them down! by Norman Doidge, it’s non fiction but it has lots of personal stories woven in. This is the first topic I crossed off my Reading Challenge list. I read “The Sun Does Shine,” by Anthony Ray Hinton. I am fascinated with people and their stories. Some other topics I considered for this category are Racial Reconciliation and the Refugee Crisis. My subject that fascinates me is domestic violence. I just finished “Not that I Could Tell” and really liked it! Ha…I just pulled my copy off the shelf and reread “garden growing wild” (I like your title better). That perfectly describes my garden….I will have to have my husband read that so he will relax a little about my gardening techniques…or lack of. Socio-linguistics! I got my masters in Applied Linguistics with the intent to teach ESL and completely fell in love with how and why language develops the way it does and how it shapes so many other things about us: politics, economics, traditions, etc. Fascinating! I love sociology. I can’t wait to hear what books you choose! I had written language and sociology as potential options. Never thought to narrow it down (my major was women’s studies and not sociology). My interest in crime scene cleaning lead me to interests in death, accidents, trauma, crime scenes, etc. I can look at the grossest stuff without a blink. Stiff is on my TBR as well! Hitler. I literally had to stop myself from reading more books about him and the things that surrounded him in WWII. I mean, I KNOW how it’s going to end. I KNOW the details are horrible. I KNOW it’s depressing. Yet I can’t stop myself. A very close second, the wives and children of Henry VIII. I don’t care about him so much, but the rest? Sign me up. If you haven’t already read it; Antonia Frasier biography of the Six Wives is very detailed but I thought very readable. For those of you who are interested in urban design and the built environment in general….I would highly recommend reading a Discrimination by Design – A Feminist Critique of the Man-Made Environment by Leslie Kanes Weisman. The first big caveat would be do not be turned off by the cover. It is an older book, 1992, and very approachable in the way it is written. I read this in college and it is one of my top 10 books that have shaped my thoughts not just as an architect, but as a human. One of the gifts that majoring in architecture gave me was a new way of looking at the world…books like this have given me a framework to push back against some of the things that I see in our built world. Much of this book is underlined (in pencil and with more notes than I usually allow myself to write in books) “An awareness of how relations among human beings are shaped by built space can help all of us to comprehend more fully the experiences of our daily lives and the cultural assumptions in which (we) are immersed.” It goes into the history of where we give birth, shopping malls, housing, the home and talks about new ideas and ways things are changing and could change. Just skimming it now, makes me realize that I need to keep it down off my shelf and read it again. And FYI – another top 10 is the Pattern Language mentioned in other comments, but that is not one that one has to read from beginning to end…it’s a good one to just randomly pickup and read a couple patterns. If you like history, “Nature’s Metropolis: Chicago and the Great West” is a fantastic book. It combines environment, economic and pretty much all other factors that went in to shaping a new city. I love books about books or libraries and books about time travel. I am looking for suggestions about time travel. 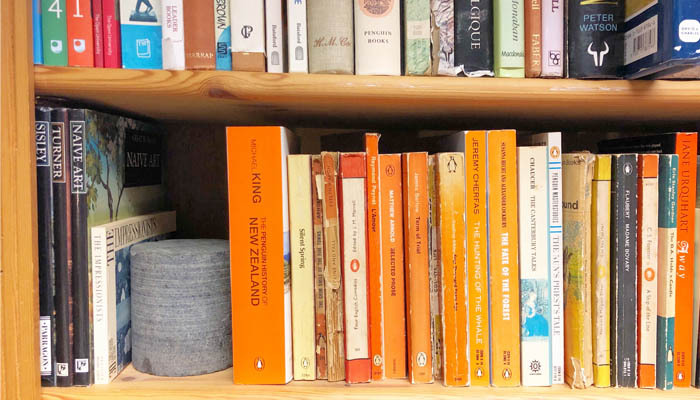 I have several books about books to choose from – two of which are yours! I just read The Dream Daughter by Diane Chamberlain and really enjoyed it! Main plot is time travel and its unintended consequences. I also loved Black Out by Connie Willis, if you haven’t read that one yet. The premise is that in the late 2000s or 2100s, a group of historians from Oxford are traveling back in time to WWII to study how the war impacted everyday people. Between the two, I’d go for Blackout first, I think the writing is stronger, and it’s part of a series so if you love it you can move straight to All Clear. Thanks Libby! I will look into these! Have you read Palaces for the People? It’s about neighborhoods and what makes the function. Thanks for recommending Palaces for the People…I had not heard of that and it sounds perfect for me – an architect living in Seattle, and with a strong interest in how to foster community in our built environment. There are two subjects that come to mind. The first is food science. I have love everything I’ve read by Michael Pollan (although Cooked is probably my favorite), and I devoured Salt Fat Acid Heat. Also, my degree is in English literature, and I’m just getting back into reading some good literary analyses. I just finished The Way Into Narnia, and I’m also hoping to read C S Lewis’s The Personal Heresy this year. I recently discovered I am really into earth history/science. I just finished The Rise and Fall of the Dinosaurs: A New History of a Lost World by Stephen Brusatte and loved it. The science behind the discoveries is so fascinating. I’m on the lookout for a similar book about ocean life and history. If anyone has any recommendations, for ocean or just earth history/science in general, let me know! 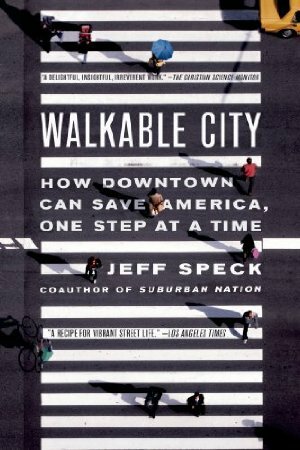 I’m a transportation planner IRL so some of these books by Shoup, Jacobs, and Speck are on my shelves I will check out the others. I like the spin off topic of Places – why people move and what attracts them. Richard Florida is master of this area of thought. My not at work rabbit hole topics are ancient history, adoption, France, climate change and whatever topic flits by. Florida is a great one to mention here! Power Broker tells the story of why modern day New York looks the way it does. A must read for someone who loves learning about how cities evolve and the power and politics of it all! When I’m not reading I’m most likely to be out birding so birdlife, ecology, conservation etc are all topics I find fascinating. I’ve ticked this topic off with The Sixth Extinction but have also read BirdStories which is a history of my countries birds. I’ve got several other titles lined up including Mozart’s Starling and a couple about extinct birds. You might try The Wild Trees by Richard Preston. I just have to say: I love The Wild Trees! Such a great book if you love nature/science/adventure writing and narrative nonfiction. I read “Darwin, His Daughter and Human Evolution” by Randal Keynes a few years ago, strictly because a dear friend highly recommended it. It’s partly a biography of Darwin that focuses on his family life but documents his professional life. I’m interested in presidential history. Would love suggestions. Thanks. Karen, have you read “America’s First Daughter”? I read it last year and was completely pulled in by the story! Doris Kearns Goodwin, of course! Also Ron Chernow. Those are probably too obvious to mention, but they’re my favorites, so I couldn’t resist. I am fascinated by all things Paris, France; basically France in general. Fiction, non-fiction, narrative non-fiction, biographies of famous French people, French food, the French Revolution, all of it. Also love me a good cult book as well as true crime narrative non-fiction books. I read all of Peter Mayle’s books about living in France about 15 years ago. They are light and quick and really fun! If you need something diverting and haven’t tried his books I recommend them. I think I could be interested in anything if the writing is good. I go in weird phases with my interests and I find that once a book grabs me, other books about that topic will drift into my life without me even looking for them. I read Into thin Air by Jon Krakauer and then found A Day to Die For, Left for Dead, Touching my Father’s Soul and a few others about the 1996 Everest Disaster. I read The Other Boleyn Girl and then just kept stumbling across other books about Henry the 8th, Jean Plaidy and others. I just read The Ghost of the Hardy Boys, by Leslie McFarlaine, about the man who wrote most of the Hardy Boys books, and then I came across Girl Sleuth: Nancy Drew and the Women Who Created Her. I also read, Radium Girls, Code Girls, and I have a new book about The Girls of Atomic City all books about women in WW2 who had secretive jobs. Who knows what it will be next! me too. sometimes i just go perusing thru the non-fiction section of my library and see what captures my interest. When we were in NYC with the kids a few years ago, we picked up a book just like this at Book Culture—but it was about the NYC subway system, not Paris’s. I expect it’s a good sign that this is apparently something people want to read and write about. I am very interested in Linguistics. I love the subject but have not found much on the subject. I love reading about uncommon professions. The everyday-ness of people’s lives fascinate me. I really enjoyed Smoke Gets in Your Eyes because it demystified so many questions I was too afraid to ask about death and dying. I also really love deep dives into podcasts. In February, I plan to read A Light in Dark Places, which has been referenced in the Cold podcast about the disappearance of Susan Powell. The podcast has been great and I’m looking forward to the book! With your interest in Urban Planning have you visited Seaside FL? It is our winter home and is a totally walkable community which you might enjoy. Yes! I just happened to read a book that discussed it in depth a few weeks before a family vacation to that area many years ago. It was perfect timing—we could drive just a little bit out of our way to see the exact thing I’d been reading about in person. I’m interested in epidemiology and disease detectives, like the people that discovered Legionnaires disease in Philadelphia back in the 1980’s. I also enjoy books about the human mind, like “The Man Who Mistook His Wife for a Hat” by Oliver Sacks. Hope–have you read The Great Mortality by John Kelly? It’s about how the black death started and spread during the middle ages. It’s fascinating! Also, The Ghost Map by Steve Johnson is good. I committed to reading outside of my comfort zone in 2019…two genres I have avoided like the plague are Romance and Memoir. Nevertheless, I have read four romances thus far that I truly enjoyed: note however; that the chosen volumes were not in the neighborhood of “bodice rippers.” My choice for a subject of interest is Leprosy. I have chosen a book titled A DISEASE APART to acquire a detailed perspective of the subject. I will pair my reading with a memoir (ugh), selecting Neil White’s IN THE SANCTUARY OF OUTCASTS. This approach has aided me in the past, a spoonful of sugar with the medicine. Into Thin Air by Jon Krakauer. I had zero interest in mountain climbing before then, but listening to this account of his Mount Everest expedition gone wrong was one of the most interesting books I’ve ever read. He shows how three factors come together: 1) nature (biology of humans, different physics at that altitude) 2) economics (at that time, group expeditions were starting to be sold to wealthy people who often were physically unqualified to attempt a climb of Everest), and 3) group dynamics. All this in form of a very easy-to-understand and suspenseful story. I scrolled down to write that I am interested in books about climbing Everest, and saw that the person who just posted a comment before me gave the same answer! I’ve also read Into Thin Air, which Nina wrote about, plus Peak, by Roland Smith, a book I read with my seventh graders, and Left for Dead, by Beck Weathers. Like Nina, I have no interest in climbing any mountains myself. Ruth, have you read “No Summit Out of Sight” yet? It’s about the youngest person to climb the seven highest summits? It’s another YA book that is good for adults. My husband saw me repeatedly geeking out over A Pattern Language, so he got it for me for my birthday one year. One of my favorite gifts ever! Funny that I live on Andres Duany Drive. It is named after that architect. (I thought, “Why am I stuck with this long name”. Glad to see he is a good architect. I enjoy reading commentary on pop culture and human nature. Like Chuck Klosterman’s work, especially “But What If We’re Wrong?” and Jon Ronson’s “So You’ve Been Publicly Shamed.” I’d love some suggestions along these lines if anyone has any! I find intentional communities fascinating. Curious if anyone has some suggestions in that department. Cheers! I tell everyone I can about A PATTERN LANGUAGE. Fell in love with it in the early 90s and love to pick it up and just read a bit. Relaxing! And so many helpful ideas when it comes to planning living spaces, like a table to set things on when you come in, a seat by the door outside, the uncomfortable worthlessness of tiny decks, and the proper dimensions for a useful porch and what to have around it. You and I have our next conversation covered! Time travel! I read “An Ocean of Minutes” by Thea Lim. Also read this for my January book club meeting. I love books about time travel too! I put a hold on an Ocean of Minutes- thanks for the suggestion! If you’re a person who likes cheerful, uplifting books, let me caution that An Ocean of Minutes is probably NOT the book for you! I read it last year and left wanting a lot more from it. I also read The Dream Daughter and liked that one much better. And probably my favorite time travel books are Black Out and All Clear by Connie Willis. Libby, thanks for the suggestions! Archeology from the Middle Ages backwards or of Native Americans in North, Central and South America. For me, books about hiking particularly long trails, especially the Appalachian Trail, John Muir Trail, and the El Camino de Santiago de Compostela. I love day-hiking, but really have no interest in multi-day hiking/backpacking myself. Maybe because it’s much easier to read about the adventures instead! 🙂 Grandma Gatewood’s Walk might be one of my favorites so far. I too love reading about thru hiking long trails and thru hiking. I’ve read Wild and loved it although the movie was very disappointing. I’ve also read A Walk in the Woods and loved it too as well as the movie. There were some differences in the movie but not so they interrupted the original story while Wild was so disjointed I felt like if I had not read the book I’d be totally lost. I’m going to look at the suggestions you mentioned Holly; thanks. Of all things, I’m interested in Demographics! I mean, not just statistics, but the effects of demographics, the stories behind it. For instance, WWI wiped out a whole generation of young men of marriageable age. How did that impact the world? China’s one child policy: beyond the obvious, what resulted? Sometimes really interesting and unexpected things happen! I have yet to read ANY book on the subject of demographics, just snips and clips here and there. Anybody know of any? And, Anne, you pique my interest in urban planning! Sue: that sounds like a fascinating topic! The Kennedys: I am currently reading The Kennedy Women by Laurence Leamer, after an incurable book hangover after reading The Summer I Met Jack by Michelle Gable. After that, nothing seemed to spark my interest until I read The Nine of Us by Jeanne Kennedy Smith. Now I can’t stop learning about the family. WWII: I am fascinated by all of the subgenres of the war, like Mengele, the experiments on twins and on women in Ravensbruck, Hitler’s taste testers and the Lebensborn Program. So much of it is horrifying and sad, and reading these books brings a lot of these topics to light that they never taught us in school. Scandinavia: I like learning about all things hygge, lykke, sisu, and overall “happiness” in the region. 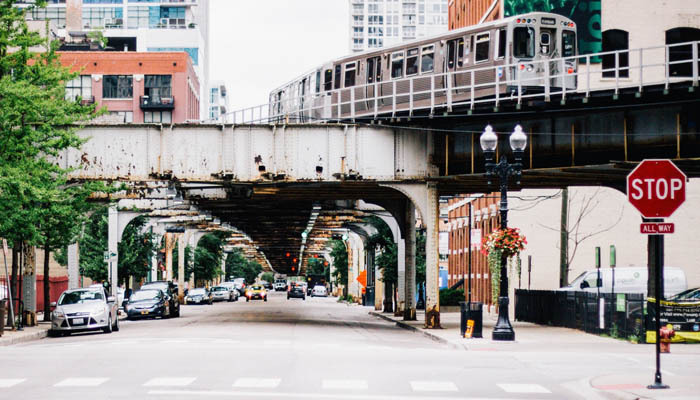 Travel memoirs: I love stories about women who, for whatever reason, need a change of lifestyle and pick up their entire lives in another country or go on an adventure–like Eat Pray Love, The Year of Living Danishly, My Year With Eleanor. The Romanovs–I Was Anastasia was one of the best books I read in 2018, and I’ve read a few nonfiction books on the royal family. I don’ t really know what to call this last category, so I’ll just call it “pieces of history that are shocking and not well known.” Topics like The Radium Girls, The Devil in the White City, and Code Girls go in this category for me. 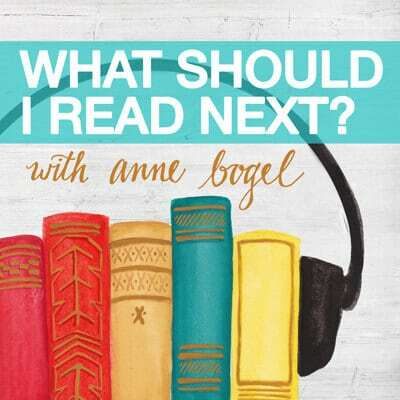 Emily, I am currently listening to Ravensbruck: Life and Death in Hitler’s Concentration Camp for Women, by Sarah Helm. I am not far enough into it to tell you anything, but I thought you might be interested. Hitler and The Holocaust are of great interest to me as well. I have this at home but have not read it yet! Thank you for the recommendation! I love books about the Lewis and Clark’s exploration. I started with undaunted Courage. I’ve read about the corps, their dog, the journals and even a cookbook. Dorky…probably! I like to think about how different America looked back then. I used to read books about homesteading, like my very favorite and highly recommended memoir read, The Dirty Life, by Kristin Kimball, Keeping a Family Cow, or The Blueberry Year. And in the funny way this happens, I’m making the transition to working and living at a farm. So now I suppose it’s a thing! Realizing, though, I need to find a new unlikely subject. Have you read The Man Who Mistook his Wife for a Hat by Oliver Sacks? He was a renowned neurologist who died fairly recently. Embarrassment of riches, to be that good of a writer and a neurologist. My subject is trauma cleaning. Very weird I know, but I read The Trauma Cleaner by Sarah Krasnostein…a gorgeous book btw, and became obsessed with the subject, the profession and what it entails. I even spent a week working as a trauma cleaner and helped clean a hoarded home after the owner had passed away in front of the tv. Trauma cleaners, or crime scene cleaners, clean up the worst possible messes you could imagine. These professionals go in after mass shootings, wildfires in CA, and that’s all I’ll say. I am currently looking for a full time job doing it. I will be reading Mop Men:Inside the World of Crime Scene Cleaners, by Alan Emmins. Pattern Language fans may enjoy the following title: Patterns of Home: The Ten Essentials of Enduring Design by Jacobson, Max, Silverstein, Murray, Winslow, Barbara. 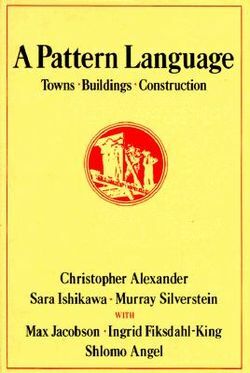 It is shorter and contains good photographs to illustrate the ten essential patterns taken from Pattern Language principles. “Outdoorsy” is not a word people would use to describe me but I’m utterly FASCINATED by books about hiking the Appalachian Trail. I’ve read A Walk in the Woods by Bill Bryson and currently reading Southbound by The Barefoot Sisters. I have always been fascinated by WWII and the Holocaust. It sounds strange to say I “love” reading about the concentration camps and Nazi-occupied countries, but it’s true. This has been a favorite subject of mine for a long time, and I love finding new books on the topic, whether fiction or non-fiction. The Hiding Place, and Night are two of my classic favorites, and The Book Thief, Unbroken, The Nightingale, and All The Light We Cannot See, are a few newer favorites. Other good ones are: We Were the Lucky Ones, Number the Stars, The Diary of Young Girl, The Orphan’s Tale, Lilac Girls, Skeletons at the Feast, The Plum Tree, Clara’s War, The Last Jew of Treblinka, Auschwitz: A Doctor’s Eyewitness Account, Sarah’s Key, and The Reader. I realize that was a LOT of books suggestions, but I’m telling you, I’ve read a LOT of WWII/Holocaust books. What are some of y’all’s favorites that I didn’t mention?? Little know factoids of history, especially relating to a famous person’s childhood, that I find on city tours. I read “One Summer: America 1927” by Bill Bryson a few years ago and loved it. It’s about the summer that Charles Lindbergh flew to Paris. He goes off on tangents about a large variety of topics, but ties it all together. I spent the whole book thinking “huh, I never knew that”. Hope, “One Summer: American 1927” was FASCINATING!!!! LOVED IT! So much information, but every bit was so well written, it was all interesting. I am obsessed with books about women and their gardens. My book for this category is “Rhapsody in Green: A Novelist, an Obsession, a Laughably Small Excuse for a Garden” by Charlotte Mendelson. Ruth Stout got me started in this category. Susan, that’s not my category, nor am I gardener at all, but my mother and I have both loved “Green Thoughts: A Writer in the Garden” by Eleanor Perenyi. She comes from Europe (“my husband owned a castle in Hungary”) but emigrated to Connecticut and grew/built a garden there. It’s wonderfully thought-provoking, witty, charming and down-to-earth. It’s a treat. I think this falls under dystopian: the Chrysalids by John Wyndham About a group of people who get Uber religious after ‘Tribulation” and how they deal with people who are born different, physically. If a child is not ‘perfect’ in body, they get rid of it. Some families don’t get rid of theirs. Fascinating read about religion gone overboard. I’ve become interested in true crime through podcasts and Netflix documentaries but haven’t read any books in this area yet. Any suggestions on where to start? Emily, I would suggest “Killers of the Flower Moon” by David Grann, “American Fire” by Monica Hesse, and “I’ll Be Gone in the Night” by Michelle McNamara. All three are fairly recent releases, and all three delve into not just what happened, but why. Seconding American Fires! I loved that one! American Fire is fantastic! Picked it up on a whim and loved it! Black Mass: Whitey Bulger, the FBI, and a Devil’s Deal – I read this when it first came out in 2000, a movie about it came out in 2015 which I have not seen, but the book is still is a favorite in that genre…it read like fiction…which you end up wishing it was. Glad that he was eventually found….and that part of the story is also fascinating…but you will have to read online about that. Anne Rule has written many excellent true crime books. She is one of the best in the field. NYC history is my fascination now and for the past 5-6 years. I’m fascinated with Western Expansion and particularly how water impacted Native American populations/settlements/migration, white settlers (nearly all early US migrants were white, but there are some interesting stories of freed slaves migrating, too) , and how water rights today impact how the West grows. There are dozens of books, but one I really enjoyed was The Emerald Mile, because it combined an epic adventure story of rafting the Grand Canyon with the history of exploring the canyon and the politics of damming the great western rivers. I just spent the evening reading and replying to posts on here instead of actually reading a book! 😛 I loved reading about everyone’s reading pleasures. The pattern book was mentioned so many times that i put a hold on it at my library so i can see what all the fuss is about! My current fascinations are WW2 holocost/ people who risked their lives to help the Jews; the importance of fairy tales/ fairy tale interpretations, the hero’s journey & Harry Potter. I also like handwriting analysis books. Does anyone have recommendations on westward expansion/pioneers/Gold Rush nonfiction or historical fiction books? Emily, how about James Alexander Thom’s book, “From Sea to Shining Sea” about the Clark family (of Lewis and Clark fame). I had no idea the WHOLE family were so talented, smart and noteworth. I’ve only started the book, but it is holding my interest, and it came highly recommended from a fellow “pioneer days” reader. The Awakening Land trilogy by Conrad Richter is historical fiction about early settlers in Ohio before it was a state and there were few people. I read these several years ago and still find myself thinking about them on a regular basis. I also really loved The Way West by A.B. Guthrie, fiction about a wagon train on the way to Oregon, and The Travels of Jamie McPheeters by Robert Lewis Taylor about a boy and his dad traveling to California for the gold rush. I randomly decided to start reading Herodotus’ The Histories in the Serial reader app, and suddenly I am fascinated by his takes on the classical world (some sections are as dry as you might expect, but some of the asides are downright funny). I’m trying to find some related books to expand my understanding, and I think I’m going to count one of them for this challenge topic. The book “Wild” by Cheryl Strayed is a very good read. Also “The Dream of a Common Language” is another good read. In “Wild” there are several good books mentioned. I am an urban planner and it is great to see so many interest in my profession. I must say that the theory is much more interesting than the practice. 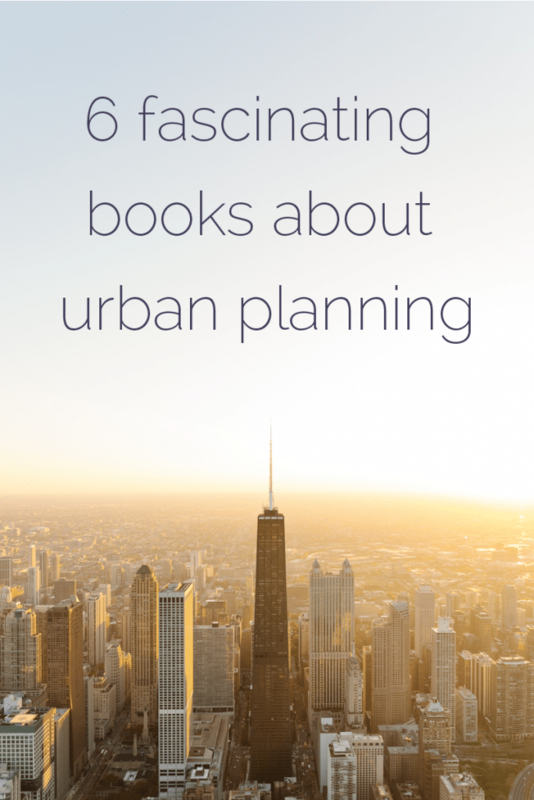 Sadly, politics is a mayor dealbreaker… The book I really liked during my studies is Kevin Lynch – The image of the city (mental mapping) and I was always interested in the history of planned cities (in ancient and not so ancient history) and the garden city movement (Ebenezer Howard). Something that really interests me is underground culture, mostly music related. I think I am going to read a book about an undeground record company or maybe Jon Savage’s England’s Dreaming about the punk movement for this topic. Liese, that’s so interesting about theory vs practice. Thanks for the Kevin Lynch recommendation! I’m passionate about eradicating food insecurity and hunger in the U.S. We have more than enough for everyone, wastefulness is atrocious, and yet many of our nation’s citizens go without healthy food every day. I’m really into science, especially space and biology/diseases (I am also a medical professional, but also I just find it fascinating!). My pick for this category is either going to be Packing for Mars or The Soul of an Octopus.